"Food Justice: Planting a Seed"
Free but tickets required. Space is limited to 50 participants. This event invites us to include food justice in the ongoing conversation many of us intend to have with our own faith communities, neighborhoods, and cities about faith, food, and justice. This activity will suggest practical questions any of us face in living towards a thriving healthy food system, suggest practical steps towards food justice, and invite a more sustainable community. This event also demonstrates how faith communities can offer a hands-on exchange with neighbors about food and food justice through raised beds, gathering faith communities around food growing, introducing other kinds of food animal and plant growing, and exploring urban growing techniques. · Initial conversation with Sowers of Justice - what is a sowers working group? Describe how installation and support of food growing helps grow community relationships, family income, and family resiliency. Suggest practical ways that faith communities and their community partners can grow food resiliency for and authentic relationships with those in need. 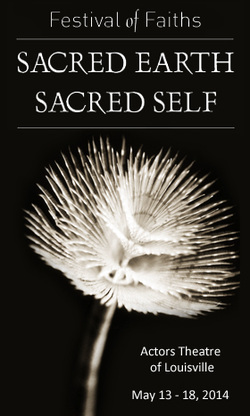 Kyle T. Kramer, educated at Indiana University, the University of Hamburg (Germany), and Emory University, is a permaculture no-till organic farmer living sustainably on 27 acres in rural southwest Indiana. He raises bramble and berry fruit, tree fruit, and annual vegetables, along with bees and laying hens. The Kramers live in an energy-efficient, self-built home with net-positive solar photovoltaics, passive-solar and wood heat, and active solar hot water. Kyle is a regular magazine columnist and the author of A Time to Plant: Life Lessons in Work, Prayer, and Dirt (Ave Maria Press, 2010). 15Thousand Farmers helps create, empower, and inspire 15 thousand new, sustainable, backyard/front yard farmers in Louisville, KY to feed their families and themselves by using simple and easy instructions, checklists, materials and ongoing support. Sowers of Justice Network is a broad coalition of churches and individuals working for social justice through nonviolent action. Through networking, organizing, education, and advocacy Sowers seek to engage local, national, and global issues of economic justice, human rights for all, racial justice, environmental integrity, and peace. Growing Cities documentary film screening and panel discussion, Louisville Free Public Library 301 York Street, Louisville, KY 40203. Meet the women and men challenging the way this country grows and distributes its food, one vacant city lot, rooftop garden, and backyard chicken coop at a time. 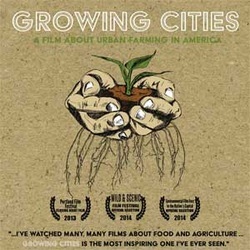 Join co-sponsors Be Creative, 15Thousand Farmers, and Sowers of Justice Network, & Slow Food for this film about urban farming in America for this documentary film that examines the role of urban farming in America and invites growing as a way to revitalize our cities and change the way we eat. Email 15kfarmers@gmail for more info or call 502.619.1819.